Winter weather has settled into my observation spot. There are many changes since my last visit 6 weeks ago. The landscape was frozen and covered in snow. It was quiet except for the brisk wind that stung my face, reminding me why I bundled up for the visit. 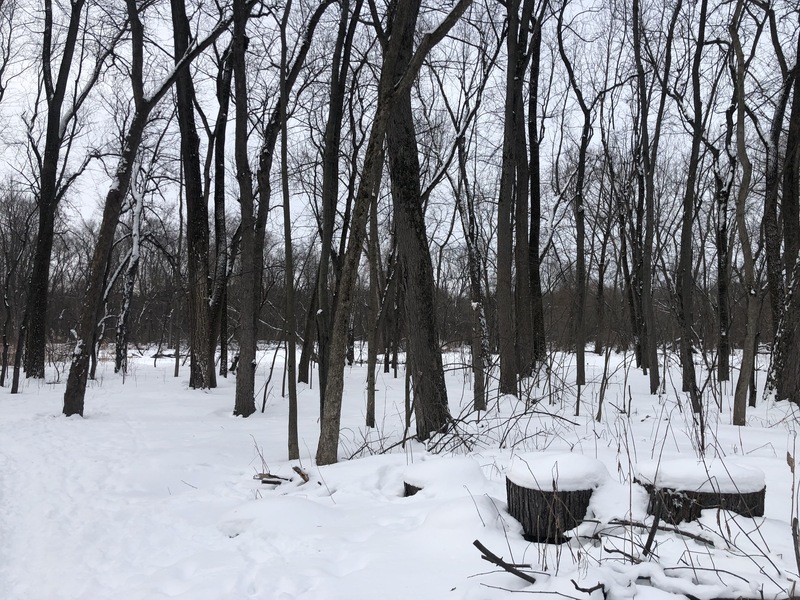 The path to my site was obscured due to the snow cover, the usually crunch of leaves below my feet was replaced with the crunch of snow. The trees in the area looked quite similar to they did the last time I was there. It still being winter that does not really surprise me. One of the first things I noticed when I reached my observation spot was how different the river was in its frozen condition. The iced over Winooski created an ice bridge that I walked on to the opposite side. 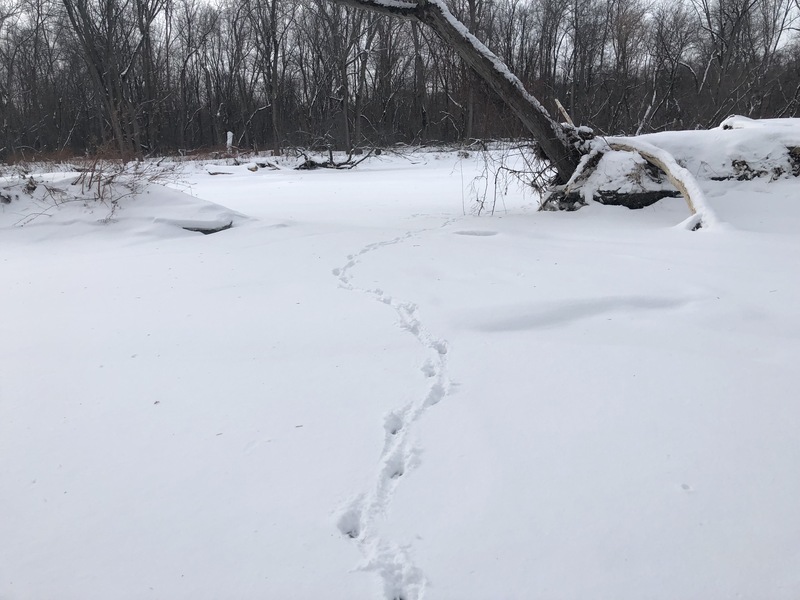 The vanished river was disorienting, but interesting as I noticed how the animals in the area were taking advantage of the frozen river. Animals had a safe passage across the river. As you will see in my photo, a deer had taken advantage of this for its travels. 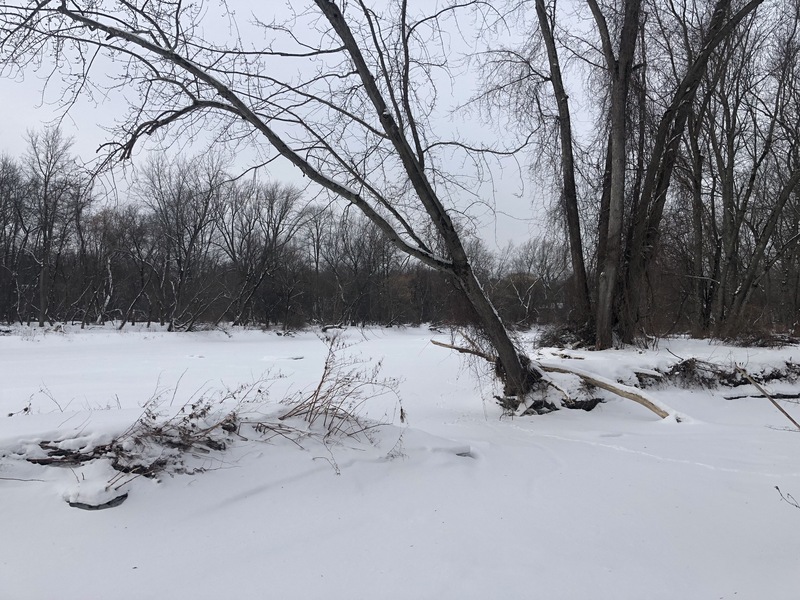 It went right across the little branch of the river then over a larger section to the bank on the other side of the Winooski. This allows easier travel for deer and other animals as compared to warmer months. In the warmer months, the water is deep and moving far too fast for the deer cross. 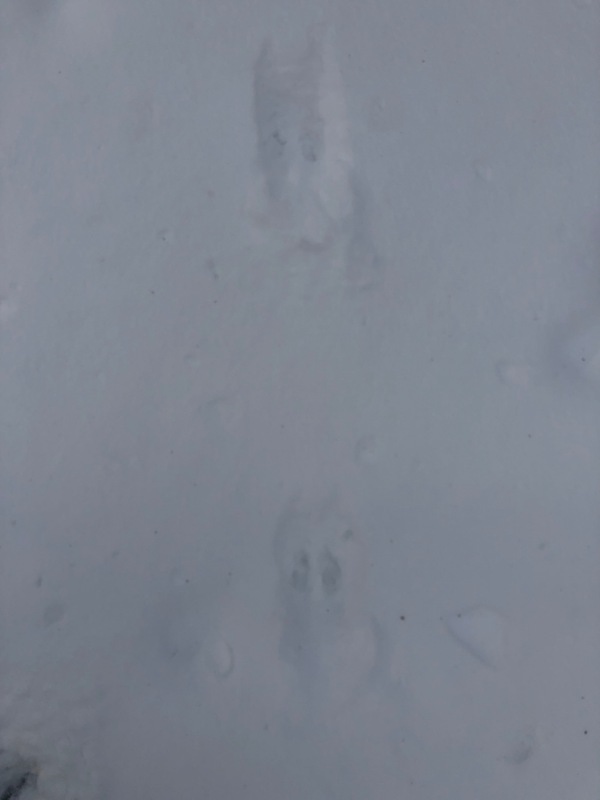 Along with the deer tracks, I also noticed some rabbit tracks. I am guessing that these belong to the cottontail rabbit. 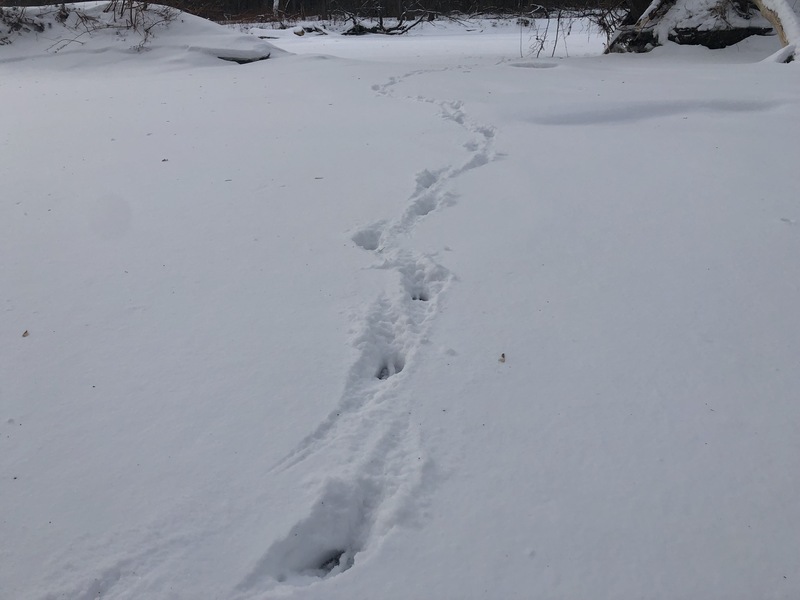 The tracks darted around the area in the woods around my observation spot by the river. 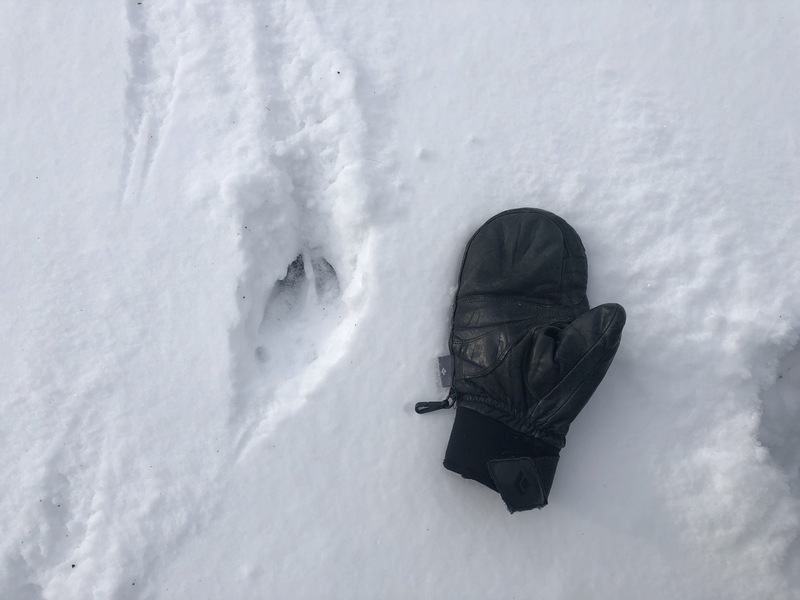 My guess is the rabbit was searching for food and found a source as in this area there are many sticky young trees with low buds for the rabbit to eat. Fixed location, showing the leaning tree. Deer tracks crossing the river. Comparing the size of the track to my mitten.